This tutorial shows you how to enable transparent top panel and titlebar in Unity Desktop, tested in Ubuntu 13.10 Saucy, 13.04 Raring. The CompizConfig Settings Manager has the opition to set panel opacity. It’s a little different to Ubuntu 12.04 Precise. Now the option is under Ubuntu Unity Plugin -> General tab. To install CompizConfig Settings Manager, click the link below to bring up Ubuntu Software Center and click install button. 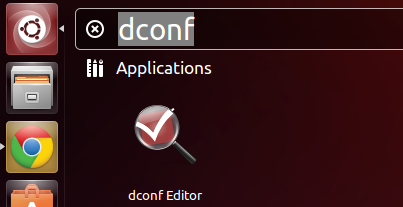 Without installing special themes, you can directly adjust window titlebar transparency in Ubuntu Unity via Dconf Editor which is installed by default. Open dconf editor, then navigate to org/compiz/gwd. Change the value of “metacity-theme-active-opacity” and “metacity-theme-inactive-opacity” to set transparent titlebar for both focus & un-focus windows. You can not get the panel to be “totally transparent”, even with the setting at 0. Which is annoying. I got it to be fully-transparent by setting the Background Color opacity to 1 (instead of 0), and *then* setting the panel opacity to 0. …doesn’t work for me, I have no option called “backgroundcolor opacity” – only the background color option with a value-range from 0 to 255. But this doesn’t bring full trancparency either. It just reduces saturation… Is there a way to fix this? It didn’t work with just entering number 1 for opacity in background color, i had to manualy drag the bar down to like 3 or as low as it could go below 0. This worked for me. Thanks, Moose! Thank you, you save me!!! Does this apply to Ubuntu 14.04? dud what about upper and lower panels in ubuntu 14.04 with gnome flash-back ?? any ideas ?? But Titlebar transparent no work for me, I don’t know why. use 14.04 version.